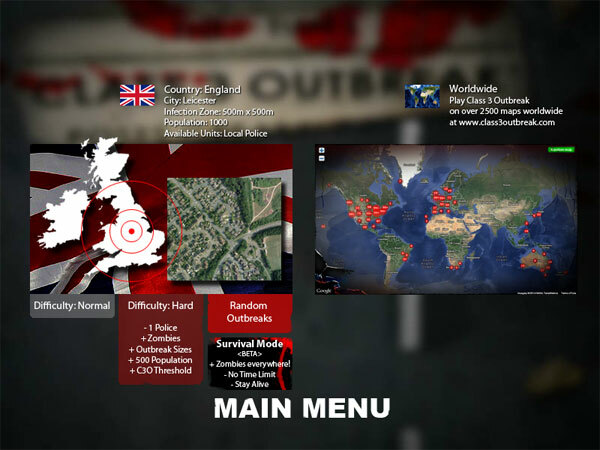 Jay and I started working on Class 3 Outbreak way back in February 2009, about five and a half years ago. Jay had pitched me his idea for an RTS zombie game, but initially we hadn’t decided on any details such as if it should be 2D or 3D, or for PC, web or mobile, etc. 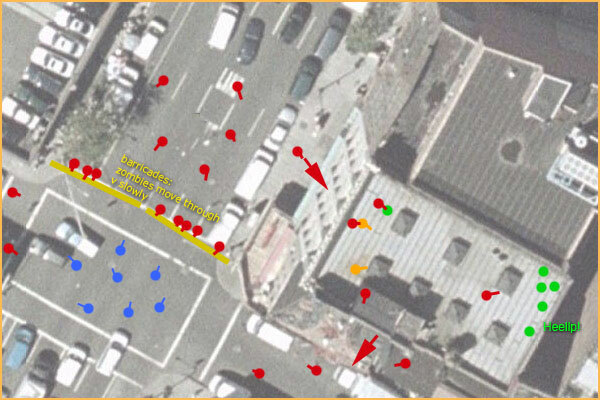 At one point during the discussion Jay sent me this quick mockup he’d drawn over a screenshot from Google Maps, showing the kind of scale that the game would be played at, and how zombies would move down a street, infecting civs and taking over the city. Then he said something like “wouldn’t it be good if we could use Google Maps?”. 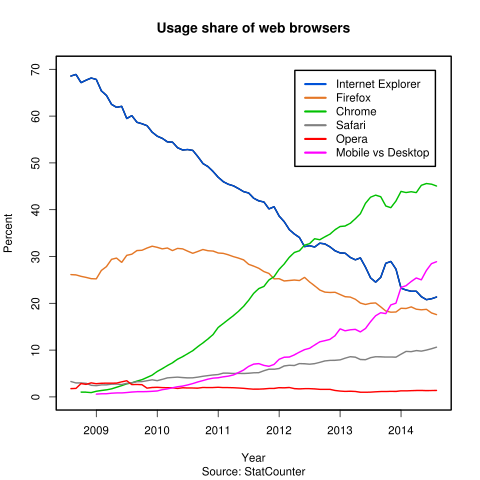 Back then the dominant platform for web games was Flash. 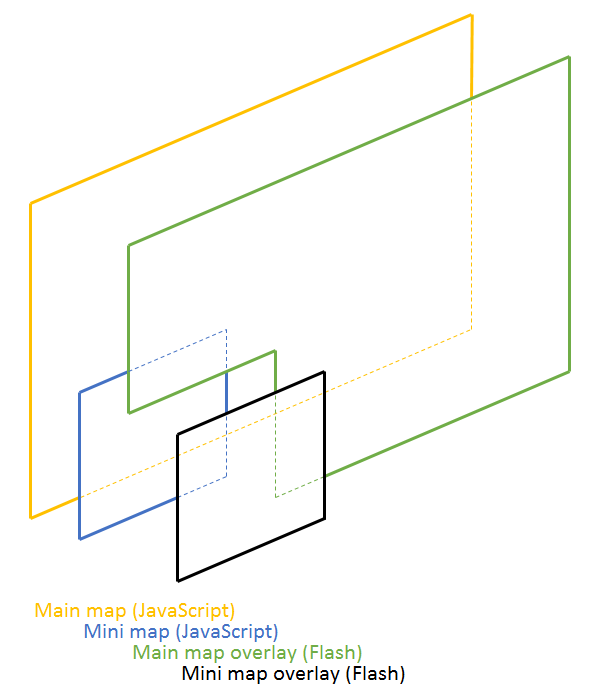 After some research I discovered that Google had released a Flash API for Google Maps about 9 months earlier. I did some experiments and found that it worked really well for what we needed, and so we jumped into development. 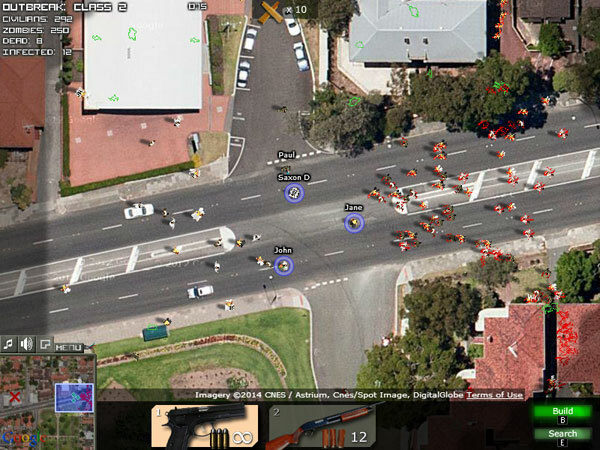 Using the Flash API we released Zombie Outbreak Simulator in November 2009, the original Class 3 Outbreak in April 2010, and the new editor-based Class 3 Outbreak in April 2011. In total we’ve had over 4.5 million plays of those games on the Flash API. However, trouble arrived in September 2011 when Google announced that they were deprecating the Flash API. They were going to keep it running for 3 years, after which they would shut it down, and so our games would no longer work. However, there’s obviously a big gap and a lot of work between this proof of concept and a complete rewrite! At the time of Google’s announcement we’d already decided to take a break from the web version of C3O in order to focus on making ZOS for iOS. So we were now hoping that we’d earn enough from ZOS on iOS to be able to afford to rewrite the game. In mid 2013 I decided to apply for funding from Screen Australia’s Interactive Game Fund, which the (former) Australian government had set up to support the local games industry. A ‘third prong’ of my plan for Binary Space had been to release ZOS on Android as well, and so I applied for funding to make an Android version. Besides wanting to release the game on Android for all the people who’d been asking for it, I hoped that an Android version would bring in some extra income which could be used to fund a rewrite of C3O. At the end of September 2013 I heard back from Screen Australia – my application for funding had been successful! From there it took a couple of months to work out the contract with Screen Australia, so by the end of November the money was in Binary Space’s bank account and so I was ready to start. On my funding application I’d partnered with James to make new artwork, and I put out a call to hire a programmer to help me out, after which Tim came on board. At the time I planned to start development in January 2014 and then release the game in May. This obviously turned out to be a bit optimistic! :) We’re now in September and the game’s not done yet. We’ve released five beta versions over the last few months (1, 2, 3, 4, 5), so it’s getting close though. Then 3 weeks ago Google sent me a reminder email saying that they’d be shutting off the Flash API in 3 weeks, ie today. Oops. The Google Maps Flash API was deprecated on September 2, 2011 and will continue to work until September 2, 2014. On that date, the Google Maps Flash API will be turned off and requests to the API will fail. This will not be delayed. Other than the copyright messages, it looks about the same. There are a few other glitches though. The main one is that the map and game don’t perfectly synchronize with each other, so they jump around a bit when the map is being dragged. 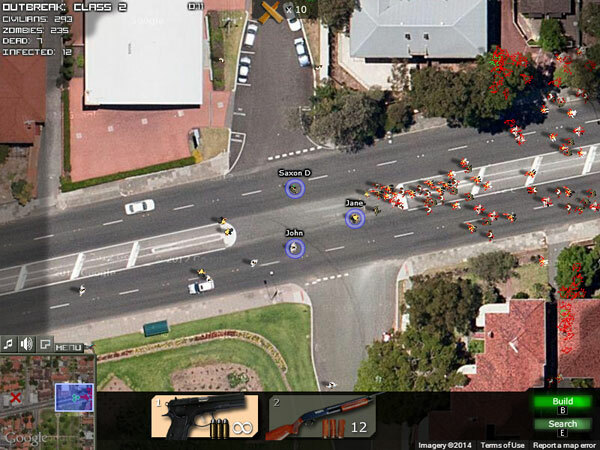 The following is a demo, although this has been slowed down, so it looks worse than it really is. This approach has been used for the editor-based version of C3O, which includes the game, the editor, and the world map. The editor and world map also look slightly different to how they were before, but the functionality is much the same. However, there are two other apps using the Google Maps Flash API – the original versions of ZOS and C3O from 2009 and 2010. Flash games are generally designed to spread around the Internet. While there are large Flash game portals like Kongregate and Newgrounds, there are thousands of other sites, and a successful game will be copied everywhere. Flash games usually include ads of some kind (or sponsorship by a website), so that the original author can earn some income from having their game spread around. This was a problem for the original Class 3 Outbreak, because the Google Maps Flash API required a key which locked it to a specific domain. This meant it could only work on a limited number of sites for which we’d inserted keys into the game. We worked around this problem by having two maps in the game. The original Washington map used Google Maps, and we added a second map of Leicester, England which used aerial photos embedded into the game itself. It was therefore possible to play the Leicester map anywhere, and so the game could spread to portals (over 2,200 of them!). 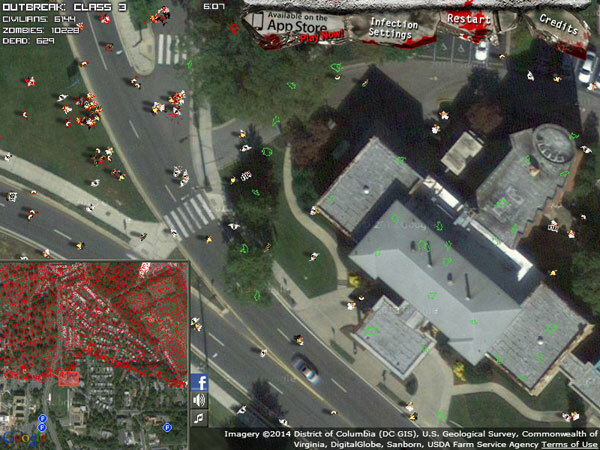 The Google-based Washington map could only be played on our site (and we also added a key for Kongregate). Players on other portals would see a link back to our site, where they could play the Washington map. 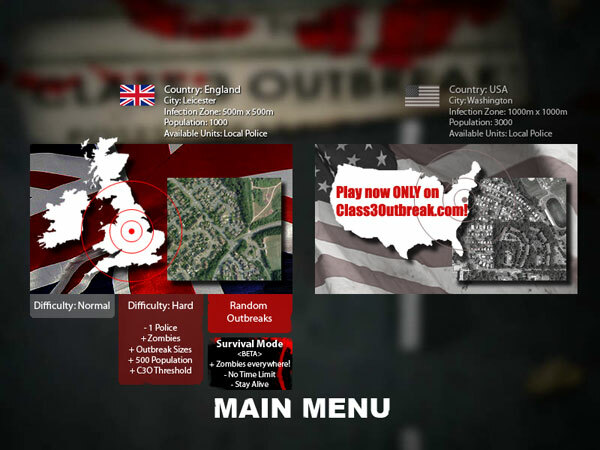 Although most portals are running an older version of the game and so will see the old ‘play Washington at class3outbreak.com’ message, if they click through to class3outbreak.com they’ll now see this promo instead. 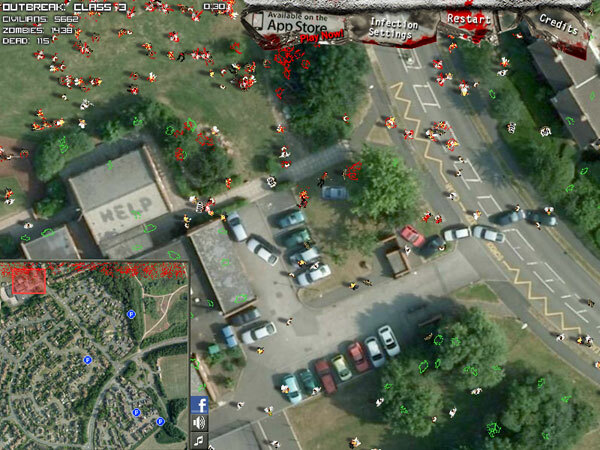 The original Zombie Outbreak Simulator is where it all started, way back in 2009. Despite its age this still gets played by around 5,500 people a month. 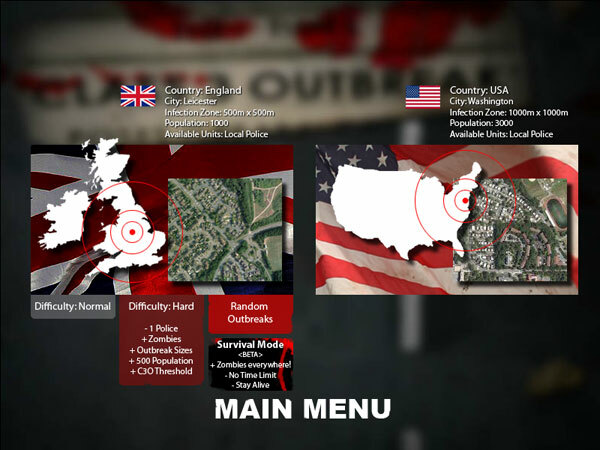 It featured only the original Google-based Washington map, and so only ran on the three sites we uploaded it to – class3outbreak.com, Kongregate, and National Geographic. I got all of this done in the nick of time – I was uploading the new version of everything at 1am this morning, the 2nd of September :) At the moment the Google Maps Flash API still seems to be working, but I assume it will disappear very soon. Now it’s time for me to get back to the Android version of ZOS! Wow that was a very close shave there but good thing you got a work around because I’m pretty sure you would lose some of your nondiehard fans out there. 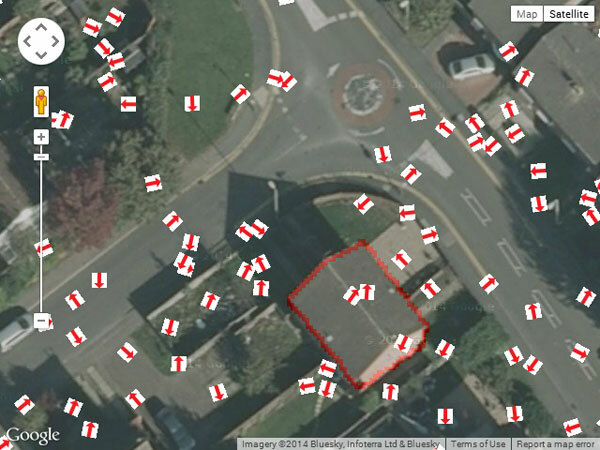 Are you thinking of trying to shake off google maps dependency? That would be tough, considering the hundreds (thousands?) 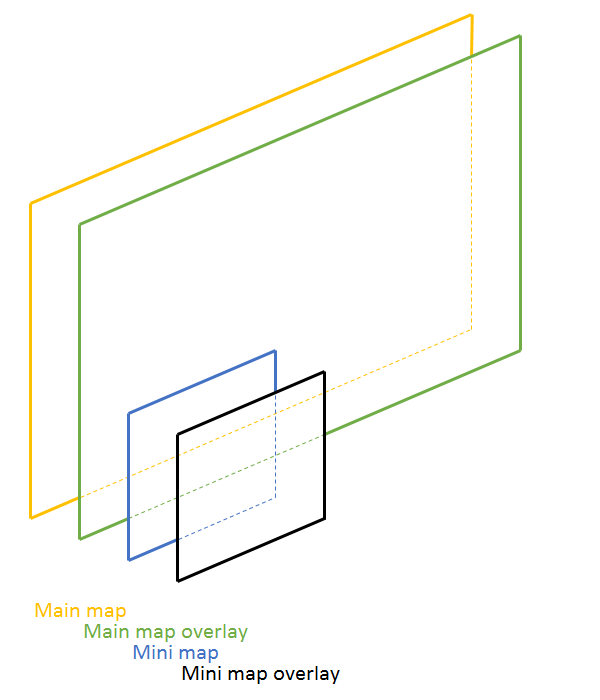 of maps already made… nevermind. Maybe see if there’s a *shudder* bings maps api… Eww. I love your “Original Class 3 Outbreak” and I’m hoping you could expand on it in the future. I wish you luck and look forward to your updates! Hi Nathan, yes something like that would be possible. Another approach would be to provide a bunch of items like grass, roads, buildings, trees, cars, etc, which people could put together to make a map. It’d be a fair bit of work to switch the game over to something like that though, and then it’ll lose the ‘real world’ feeling, so I wonder if it’d be better or worse overall! :) cya, Saxon. I would love an Android version of the game. I am pretty broke and my PC broke a couple years ago. Before that it was my favorite game(I spent over 300 hours on it) and I kinda went into ZOS/C3O detox. Anyway, I have several android devices(phone, desktop, tablet) because they are relatively cheap and if I could play ZOS on it I would pay $20 for the app. As for getting noticed on the App Stores, IOS is pretty tricky but since your game has a good sized(compared to others) community, you could put the .apk file up for download directly from your website using something like Gumroad. Somebody actually ported C3O to android Aptoide AppStore. I am not sure if that was your company with a beta version but if it wasn’t you you should somehow contact him. Lol I don’t know. i cant play world wide mode. it says server error detail. what would i do? Well i came here a bit late but im really impressed with this, its a great sandbox and the original maps are really good. I espicaly liked the survival mode (which is beatable).